Allen Z. Hertz was senior advisor in the Privy Council Office serving Canada's Prime Minister and the federal cabinet. He formerly worked in Canada's Foreign Affairs Department and earlier taught history and law at universities in New York, Montreal, Toronto and Hong Kong. He graduated from McGill University with First Class Honours and the Minister of Education's Gold Medal in History. He holds a Ph.D. in East European and Ottoman history from Columbia University and law degrees from Cambridge University and the University of Toronto. This is a revised version of "Religion and Politics: What Barack Obama Could Learn from Benjamin Disraeli," first published in American Thinker on August 27, 2010. 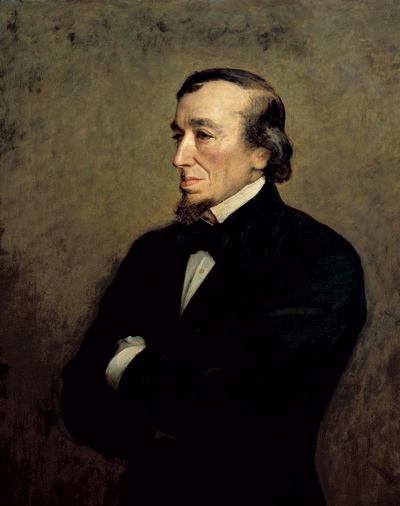 How did Disraeli deal with Jewishness? Jewish-born Benjamin Disraeli served a total of seven years as British Prime Minister, during two terms between 1868 and 1880. As a child, Disraeli received Jewish instruction and his family belonged to a synagogue. Though he converted to the Anglican Church at the age of thirteen, Disraeli's Jewish religious and ethnic origins were both well known and frequently discussed throughout his long political career, during which he was proudly philo-Semitic. Does religion play a role in USA politics? 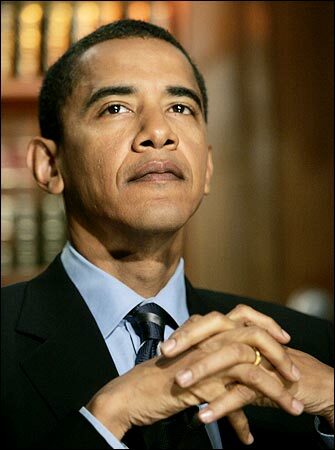 On August 19, 2010, a Pew Research Center poll showed that a growing percentage of Americans (43%) do not know President Obama's current religion, with another 18% saying that he is now Muslim. This signals a potential political problem for President Obama because USA public-opinion polling consistently tells us that most Americans expect a politician to have firm religious beliefs and are genuinely interested in their leader's religious affiliations. Though explicitly philo-Muslim in policy, President Obama has repeatedly affirmed his own Christianity, which he adopted when he joined the United Church of Christ, at some point before his October 1992 marriage to Michelle Robinson. However, there remains the relevant question of his religious evolution before that time, including during his childhood. In this regard, his June 4, 2009 Cairo speech offered: "I'm a Christian, but my father came from a Kenyan family that includes generations of Muslims." Could it be that increasing uncertainty about President Obama's present religious affiliation is connected with his religious history from childhood, just as there was always lively interest in Disraeli's Jewish childhood? Theologically Islam regards all children to be born Muslim and to remain such until adults teach them otherwise. President Obama was probably Muslim during his childhood also because: (1) his paternal grandfather in Kenya was Muslim; (2) his Kenyan father (though Marxist and atheist) was born Muslim, always kept his two Muslim names, "Barack" and "Hussein," and when he died, his family wanted him buried with Muslim rites; (3) infant Obama was given two Muslim names, "Barack" and "Hussein"; (4) his Indonesian stepfather was also Muslim; (5) Indonesian classmates and playmates recall that he attended religious services at school and in mosques, when they believed him to be Muslim; (6) he was registered as "Muslim" at two elementary schools in Indonesia; (7) he studied the Koran in Indonesia; (8) an Indonesian teacher recalls that he was then also learning Arabic recitation of the Koran, which adult Obama has shown that he can still remember; and (9) reflecting on her childhood with young Obama, his half-sister Maya Soetoro in 2007 told The New York Times: "My whole family was Muslim." ﻿Could Obama learn from Disraeli? Though in 2008 both Barack Obama and his campaign staff specifically said that he had never been Muslim, the President might perhaps be wiser to follow Disraeli's example in speaking clearly about his religious experience in a way that is more intelligible to ordinary Americans who from childhood are generally people of faith. A member of the Anglican Church, Disraeli repeatedly affirmed that there was nothing wrong in being Jewish or having converted from Judaism to Christianity. In the same way, there is nothing wrong in being Muslim or having been Muslim. However, suspicion that a previous religion may have been glossed over for political advantage creates a bad impression. Could it be that this is a factor contributing to the growing confusion about President Obama's particular religious faith today? Okay to ask about Obama's religion? Setting sociological norms of political behavior is the prerogative of the American people. They are entitled to decide whether it is proper to discuss President Obama's religious affiliation, which is a topic that he himself has broached in his speeches. Though an articulate minority would strongly disagree, a broad range of public-opinion polling about the role of religion in USA public life clearly indicates that most Americans likely regard President Obama's current religion and religious history to be matters of legitimate public interest.